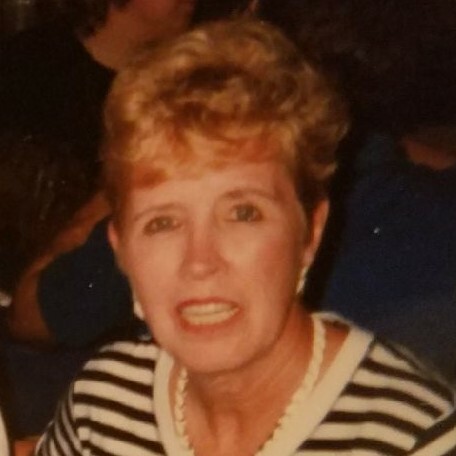 Eleanor M. Zukowski, 83 of Plains Township, passed away Sunday evening, March 24, 2019 with her family by her side. Born in South Wilkes-Barre, she was the daughter of the late Dorothy (Claherty) Daring. Eleanor attended city schools and was employed at Carter Footwear, Wilkes-Barre until her retirement. She was an active member of Living Hope Bible Church, Plains, the Rainbow Club Senior Center and enjoyed doing puzzles and traveling with family and friends. In addition to her mother, she was preceded in death by her grandmother Ethel Claherty, who helped raise her, brothers Edward “Sonny” Daring, Jack Daring, and Donald Weaver; sisters Ethel Granahan and Millie Seaman. Surviving are her husband of 58 years, Chester Zukowski, daughters Pamela Dolman and her husband Frank, Trucksville, and Sheree Parks and her husband Craig, Lily Lake, and son Chester Zukowski and his wife Myra, Wilkes-Barre, grandchildren Kyle, Jordan, and Felix Dolman, Danielle Potoski and her husband Lenny, David Duke, Alyssa Heck and her husband Mark, Joshua Zukowski and his fiancée Shiniese Jones, Robert and Katie Rose Zukowski, great-grandchildren Rosalyn Heck, Madeline Potoski, Lacie Zukowski, and Liam Zukowski, sister Alice Lewis, Plains, several nieces and nephews. A Memorial Service for Eleanor will be held Friday, March 29, 2019 at 2:00 pm at the Corcoran Funeral Home, Inc., 20 South Main Street, Plains, PA 18705, with Rev. Mark Desilva, Pastor of Living Hope Bible Church, officiating. Family and friends may call Friday afternoon from 1:00 to 2:00 pm at the funeral home. In lieu of flowers, memorial donations may be made to the Living Hope Bible Church, 35 South Main Street, Plains, PA 18705, in Eleanor’s memory.